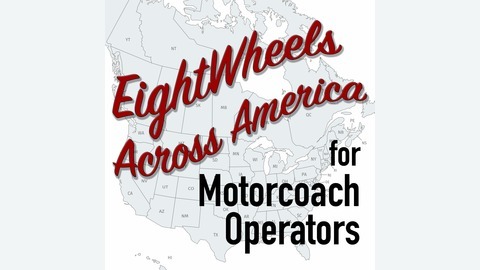 EightWheels Across America is a weekly podcast primarily for motorcoach operators and tour bus drivers, also for tour guides, and group leaders across the United States and Canada. Episodes will include news and information especially for drivers, interviews with drivers and others from the motorcoach industry. . 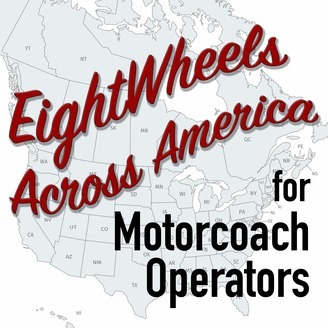 Episode #10 of EightWheels Across America features an overview of the streets of Washington, DC, especially from the motorcoach operator's point of view. There is a method to the madness! And it's easy when you understand the patterns. Also included is this week's "Meet the Driver" with Jermaine Roller from Youngstown, Ohio.